One of our favorite things that we do here at KRose Marketing and Consulting is work with our seedstock clients to provide coverage on the day of the sale. 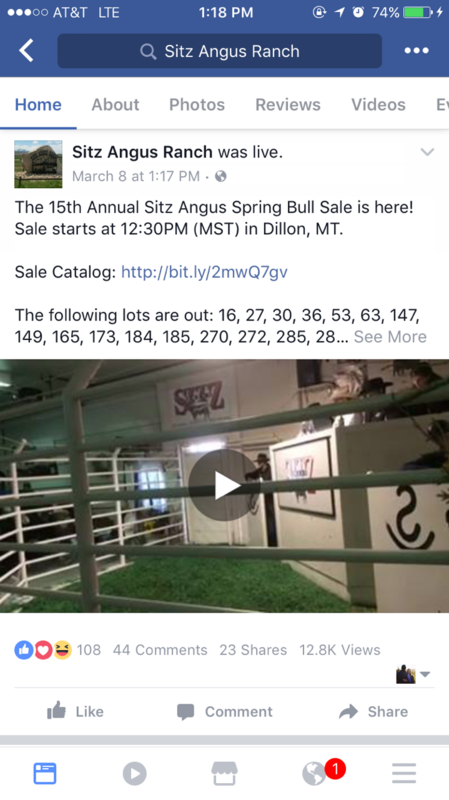 We had the honor of working Sitz Angus Ranch at their 15th Annual Spring Production Sale in Dillon, Montana. We arrived Tuesday night for dinner, followed by the sale on Wednesday. The KRose team can typically be spotted running around with a camera in hand, or you might find Karoline holding up a number while bidding for customers that can’t be at the sale. We provided a full day of coverage that included taking photos and videos, streaming a Facebook to thousands of viewers across the nation, and buying bulls on order for our KRose Cattle Company customers. The days leading up to the sale were also busy as we worked to complete their brand new website. If you haven’t seen it yet, take a look! We’d love to hear what you think. But first, take a look at some of our favorite shots from the Sitz Angus sale! We loved getting to spend the day at Sitz Angus Ranch offering complete coverage of their sale. If you are interested in having the KRose team cover your sale, view the packages we offer.